This is the first in a series of books to be released by the Professional speakers association of Southern Africa. 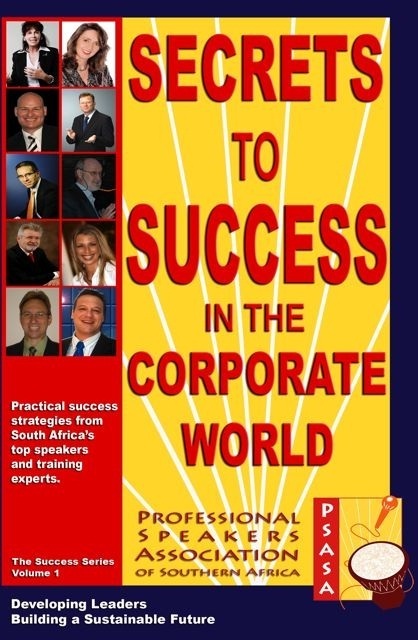 The book features ten of South Africa’s best speakers and training experts. In this series you will learn tips on how to grow your business through effective marketing, discover your passion, gain better life balance, develop a success formula, formulate the right mind set to achieve your dreams and much more. Eddie Botes, founder of Leadershift, has a chapter titled “Answering the call”, which explores how magic happens when we combine talent and passion in pursuing our vocation. Book a talk or a training intervention and purchase the book for each delegate at a reduced rate. Fill in and submit the simple and convenient form below. Make the relevant advised payment via EFT or direct deposit. Send us proof of payment via e-mail or Fax. We will deliver to your home or office if you are unable to collect. Delivery charges are not included in the price of the book.